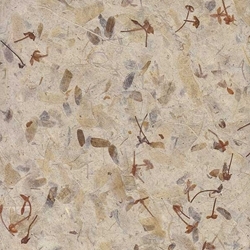 This paper has a mixture of beautiful leaves and grasses mixed into a base of kozo (mulberry) pulp. Translucent crisp and simply beautiful. Great for lampshades bookmaking paper sculpture and all paper arts. Made in Thailand.